Bright Colored Seamless Pattern In Hippie Style. Abstract Background.. Royalty Free Cliparts, Vectors, And Stock Illustration. Image 56648956. Vector - Bright colored seamless pattern in hippie style. 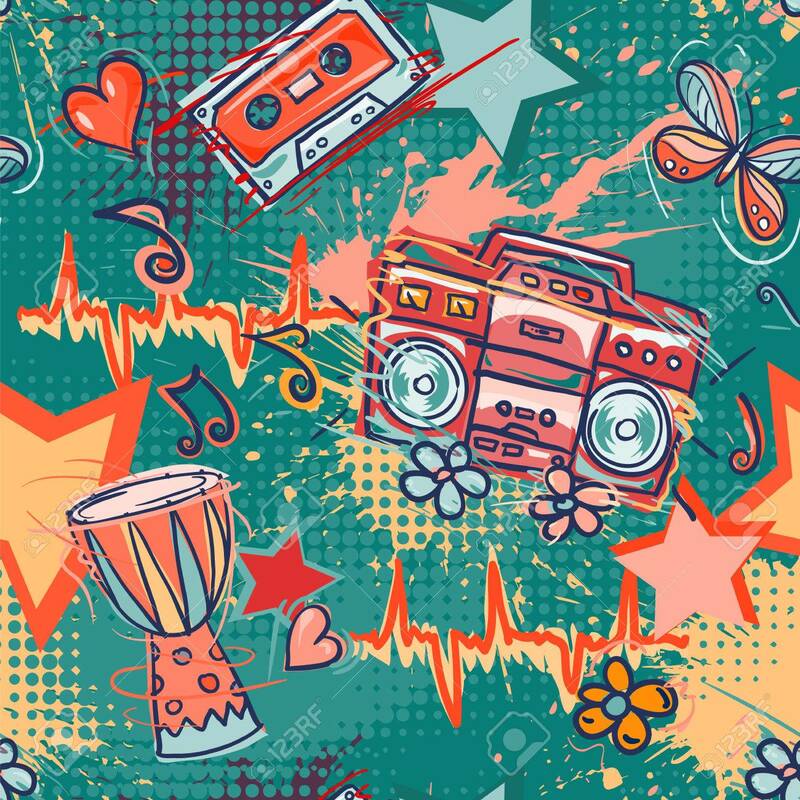 Abstract background with notes, music tape, retro boom box, drum, hearts, flowers and butterflies . Funny vector wallpaper with half tone effect. Bright colored seamless pattern in hippie style. Abstract background with notes, music tape, retro boom box, drum, hearts, flowers and butterflies . Funny vector wallpaper with half tone effect.